The prison at Fort Charlotte, Lerwick, Shetland is a wee single storey building, closed for many years – however, there is a plan to attract more visitors. The whole buildings needs tlc, hoping for a late spring/early summer 2019 opening. Fort Charlotte overlooks the strategic Sound of Bressay. It was built to defend the sound against Dutch and later French warships. Some sort of fort was erected during the first Anglo-Dutch War in 1652, though no trace of it is now visible. 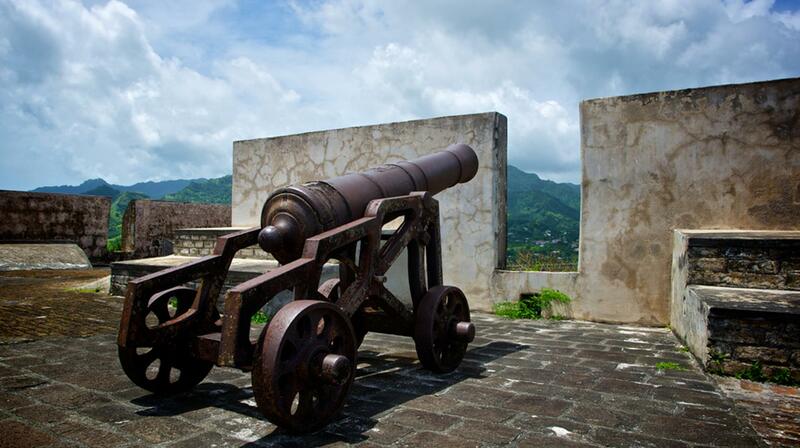 During the Second Dutch War in the 1660s a second fort was built, but never finished. The fort was not garrisoned during the Third Dutch War, though the Dutch did land and burn the abandoned barrack block here in 1673. The fort was re-established a century later, during the War of American Independence in 1781. It was named Fort Charlotte in honour of George III’s wife Queen Charlotte. By now, the Royal Navy found itself facing the combined forces of the Dutch, France, Spain and the burgeoning American Navy. The fort was garrisoned with 270 soldiers of the Earl of Sutherland’s regiment. Not a shot fired. Fort Charlotte never saw any hostile action and not one of its’ many guns was ever fired in anger. When Britain went to war with France in 1793, 100 men from the Orkney and Shetland Fencibles were stationed there. When they disbanded in 1797, another new formation, the Shetland Fencibles, replaced them. They disbanded 18 years later in 1815. Fort Charlotte’s guns were removed in 1855. The site saw a range of uses after that. It functioned as: a town jail and courthouse, a custom house, a coastguard station, a Royal Navy Reserve depot and armoury and a drill hall for the Territorial Army. Today the fort’s been reconstructed with replica guns to appear how it would have in the 1780s. The ramparts of the fort follow the outline of the incomplete construction of the 1660s. It’s roughly pentagonal, with a battery for the 12 guns set behind a zig-zagged parapet wall, facing out over Bressay Sound. Today, the fort is presented much as it would have looked in the 1780s. ENDS. Paul McLean, Scottish history numpty (Scottish word for IDIOT!) from Connel, now Perth.